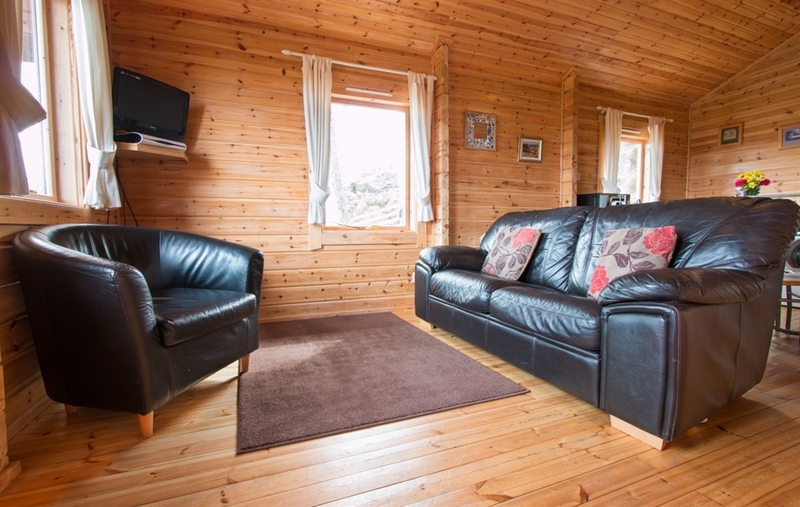 Eas Lodge is located just outside Tobermory and has wonderful views over Loch Sunart and the Sound of Mull. 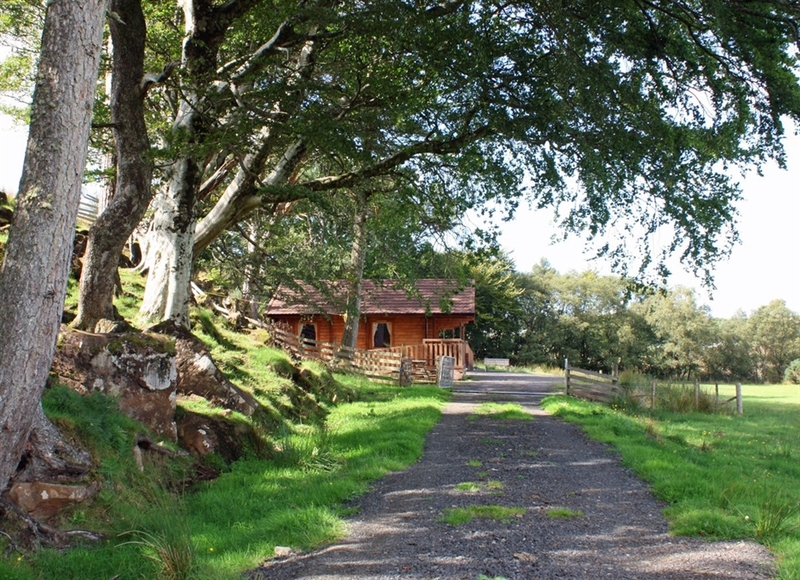 The lodge sleeps 4 people in a double and a twin bedroom. 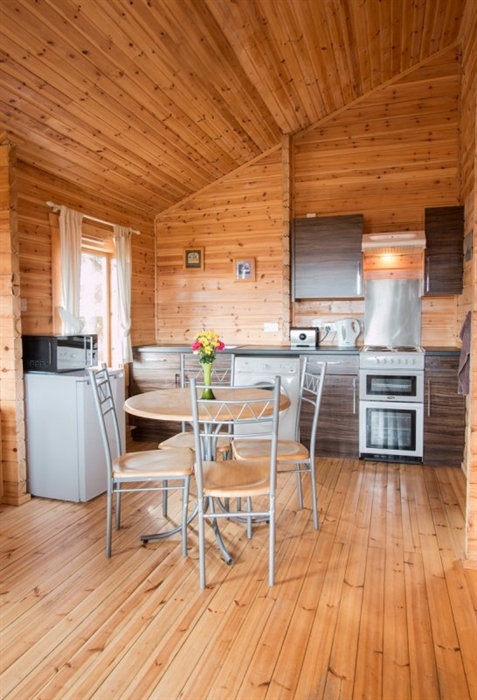 The living and kitchen areas are open plan and the door leads to a covered decking area, a great space for a meal outdoors yet with some cover. 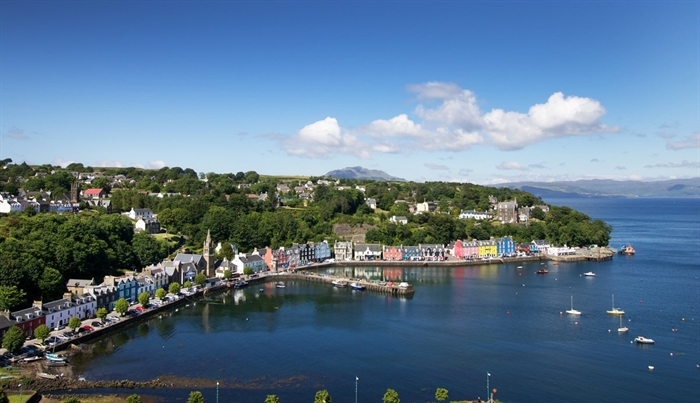 Tobermory is a short walk and the harbour offers a good selection of shops and eateries to enjoy. Aros Park is just next door to the croft which has some lovely woodland walks.